Acolytes usually serve once a month at our Choral Eucharist service as well at other special events. It's a wonderful way to learn about the litergy of the church. Children and adults are welcome. Contact Fr. Chris (248-557-5430) for more information. 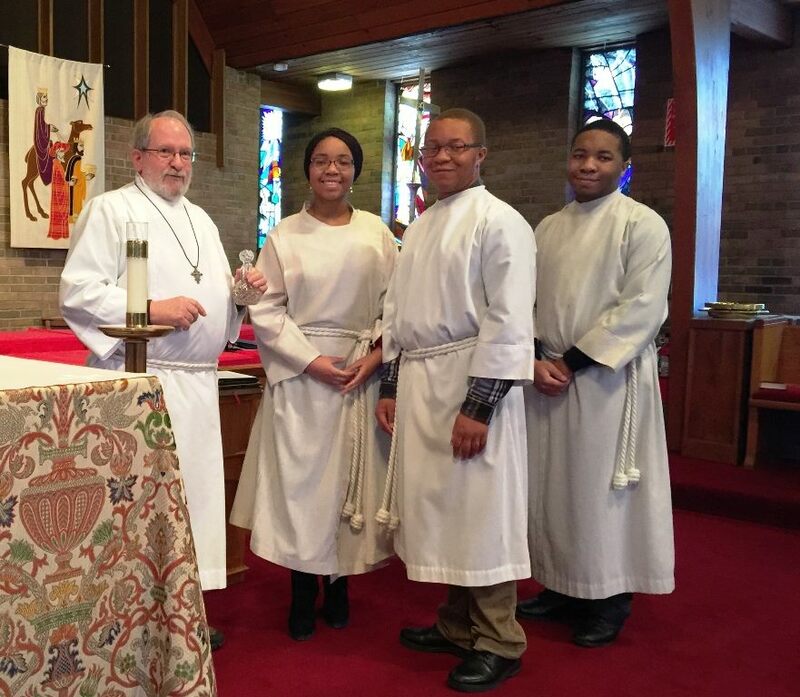 Our LEM's read Scripture in congregational worship, distribute Holy Communion, and perform a host of other duties. Diocesan licensing and training is required and provided. Contact Fr. Chris (248-557-5430) for more information. Click here for the Worship Assistant Schedule. Leading the Prayer of the People in congregational worship is one of the Church's oldest ministries. Training is required and provided. Contact Fr. Chris (248-557-5430) for more information. Ushers usually serve once a month at our Choral Eucharist service as well at weddings, funerals, and other special events. Contact Wayne Atfield via the Church Office. This guild is in charge of preparing our church space for worship, including the care of linens, vestments, and silverware. To volunteer, contact Diane Schoch or Anne Jeannette LaSovage via the Church Office. If you have musical abilities, call our Music Director, at 248-557-5430.